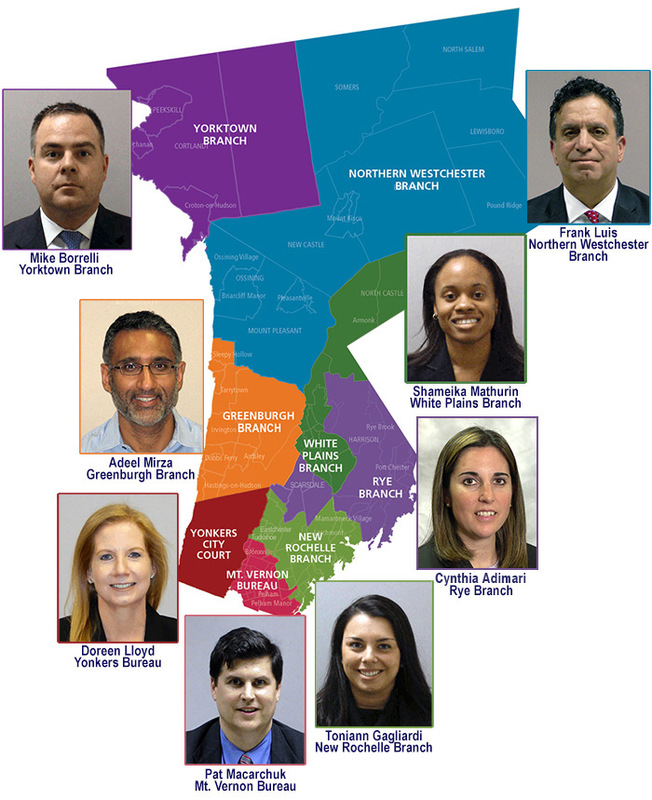 The Local Criminal Courts and Grand Jury Division are comprised of the Local Criminal Court Bureau, whose eight branch offices prosecute cases in Westchester County’s 41 criminal courts, and the Grand Jury Bureau, whose prosecutors prepare and present cases to the Grand Jury that are not vertically prosecuted by other Divisions of the District Attorney’s Office. Branch and bureau contact information is listed below the map. 475 North Ave., 2nd Fl.